Lattanzio Group (www.lattanziogroup.eu) is a consulting group, composed of several specialised companies and assisting governments and international organizations in the formulation, management, monitoring and evaluation of development policies and programmes, in countries or regions characterised by poverty phenomena and/or by transition processes. The Group is specialised in providing training and policy advice to public administrations and has taken a leading role in supporting reforms and modernization processes in both Italy and Europe. The Group has then developed additional expertise in the following main areas: governance, institutional building, education, employment, regional and local development, rural and agricultural development. The Group’s headquarters are in Rome & Milan (Italy). 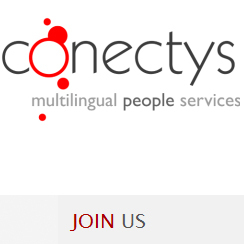 Around 10 people work in the Bucharest office, which is also called Centro Servizi (CS). The Bucharest office, indeed, provides a number of common services to the various companies of Lattanzio Group, in order to support them while participating in tendering processes and in project management. Specifically, the Centro Servizi is in charge of the following main general processes: i) tender monitoring and alert, ii) internal databases management, iii) CV search and management, iv) administrative support. Junior project officer. The candidate will contribute to the above-mentioned tasks undertaken by the Bucharest office, with a specific focus on the processes of CV search/management. The candidate will thus work with the staff in the other offices of the Group and will also interact with clients, partners and external consultants. · University degree in subjects which are relevant for the activities of Lattanzio Group, e.g. political sciences, social sciences, economics, international development, etc. Only the applications (CV) in English will be taken into consideration!!! Copyright 2019 © Joburi Limbi Straine All rights reserved.